Patricia Sund is a former writer for The Spruce, contributing articles for over a year. She has been a freelance writer for over a decade, including writing for BirdChannel, the Huffington Post, and her Parrot Nation blog. 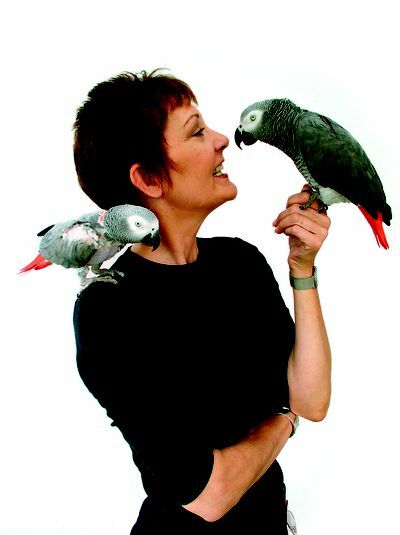 Life with her three African grey parrots prompted her to begin a column in Bird Talk Magazine titled “Memo to Parker and Pepper.” She has written for newsletters and magazines including In Your Flock, American Federation of Aviculture’s Watchbird, and Phoenix Landing’s Phoenix Beakin’. She has done presentations for numerous clubs and non-profits including the Black Hills Parrot Welfare And Education Center, Rocky Mountain Parrot Society, Raleigh Durham Caged Bird Society, Phoenix Landing, Long Island Parrot Society, Arizona Seed Cracker Society, Midwest Bird Expo, and Bird Lovers Club in Florida as well as presenting at the American Federation of Aviculture Conference in 2013 and 2014. Patricia Sund completed Dr. Susan Friedman’s online course: “LLP: Living & Learning with Parrots,” and both Beginning and Advanced Levels of the “Natural Encounters” Companion Parrot Training Seminars. Patricia Sund is a contributor to BirdChannel.com and a writer for Bird Talk Magazine.